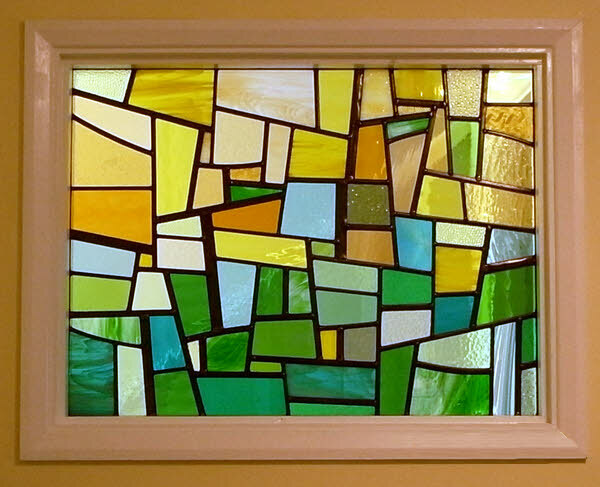 Green and Yellow Patchwork Panel, Hampshire. My customers have extended their home and now have a utility room that they wanted to hide. 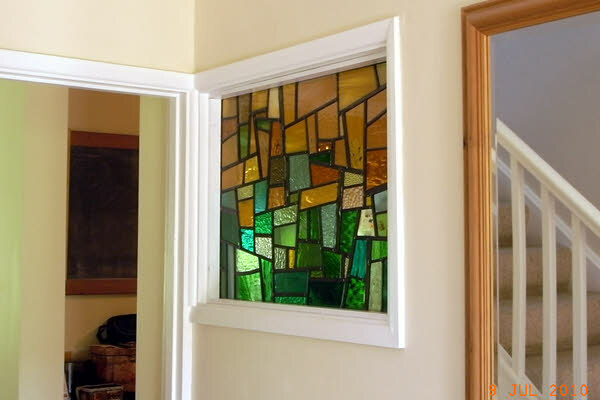 It was important to have a new window made to give borrowed light to the hallway. A great way to do this is to have a feature leaded panel. There is a very rich mixture of glasses within this panel with loads of great textures too. It’s a great way to add colour and texture and of course light! Error: Error validating access token: Session has expired on Monday, 08-Apr-19 03:56:55 PDT. The current time is Friday, 19-Apr-19 11:21:12 PDT.